It warms my heart to think about how many of you attended the August 2015 Town Hall meetings throughout our area - a testament to the extraordinary work you have already done for our girls, and of your dedication to be ready to do what it takes to move our organization forward together. Since the spring Town Hall meetings, we have been working very hard to develop solutions designed to address the challenges that you expressed you are having – challenges that keep you from doing what you signed up to do: serve girls. At Girl Scouts of the Colonial Coast, volunteers deliver learning experiences to girls by encouraging them to reach for the stars. We appreciate all that you do to foster this community of discovery and support. Because of you, girls come together to share stories and experiences and make new friends that last a lifetime. And because of you, girls have exceptional role models who inspire them to do great things. Beginning October 1, 2015, the Family Partnership program is being eliminated to relieve service units and troops of the burden of asking for support. Thank you for taking the time to help ensure the success of our Council sponsored product programs. For help accessing and updating eBiz please email support@gscccc.org. For tickets and more information call 757-213-4550 or visit www.vaopera.org/snato. Calling all volunteers! You are invited to attend the third annual Leader Launch, presented by the Coastal Connection Community. Join us as you browse displays, learn about the Girl Scout Leadership Experience and explore materials that can help you and the girls you mentor. New volunteer classes as well as enrichment classes will be offered free at this event. See this flier for more information and register today. For questions, please contact Cheryl McGrenra at cherylm@gsccc.org or 757-410-0595. Join us in congratulating our Famous Former Honorees for this year. 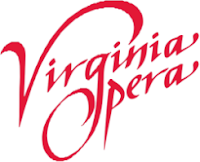 They will be honored at our Famous Former Luncheon on Thursday, October 29, 2015, at the Norfolk Yacht & Country Club. Tickets are available for purchase at www.gsccc.org. 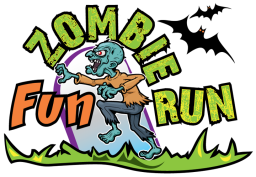 To register or for more information, contact Heather Simpson at 757-410-7127 or hsimpson@infopeake.org or visit ChesapeakeZombieRun.com. Spaces are limited. Are you looking for a fun and exciting way to kick off the Girl Scout year? Why not host a Fall Product Rally for your troop or service unit? Rallies are a great way to get the girls excited while participating in fun hands-on activities that educate them on the nut and chocolate and magazine offerings, goal setting, leadership and other life skills. Our vendors, Ashdon Farms and QSP, are excited to offer service units and troops a Rally Guide. The Rally Guide includes planning steps, rally procedures and nine station ideas. Download this year's Rally Guide here. Let’s motivate the girls to Be Spotacular!